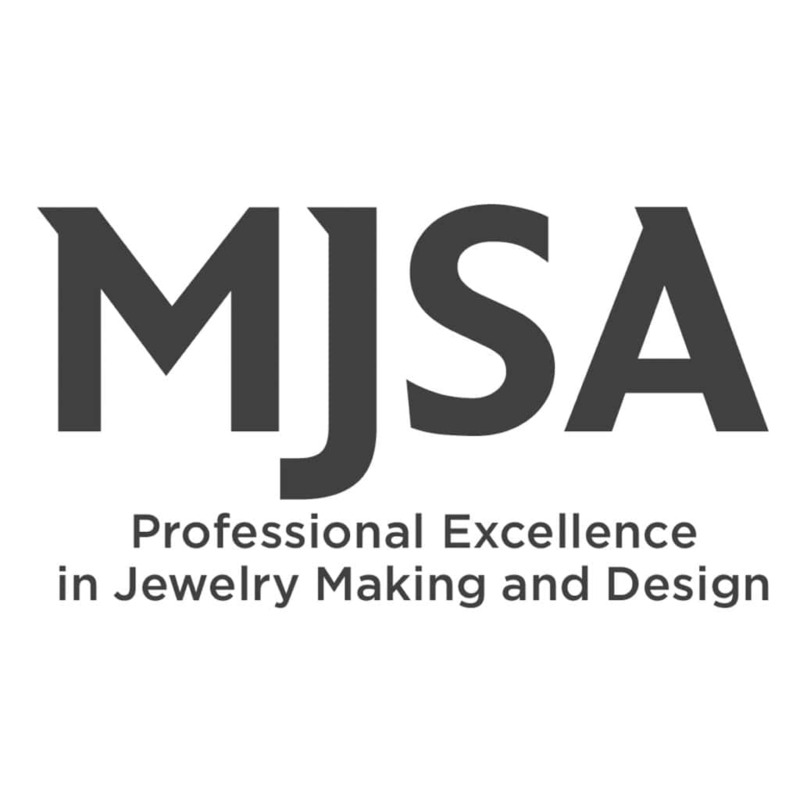 In the 2017 MJSA Vision Awards, the Manufacturers and Jewelry Suppliers of America (MJSA) recognized Adam Neeley with the honor of Laser Distinction Winner for his earrings entitled “Rouge Moderne”. 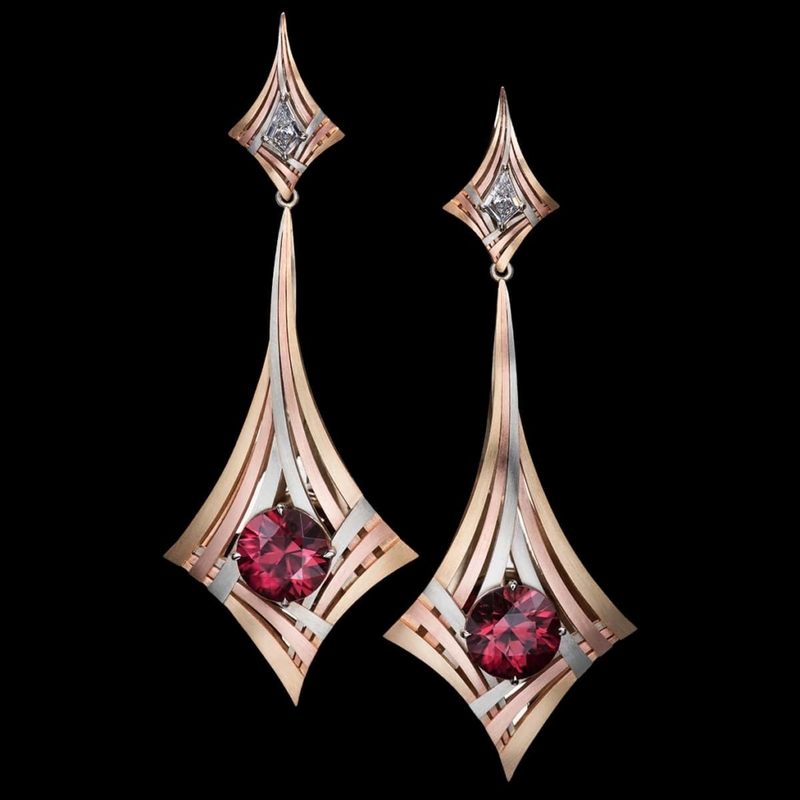 These earrings showcase two dazzling red zircons set in rose, white, and yellow gold accented with kite-shaped diamonds. The intricate design was created using CAD and grown in 54 separate parts, and almost all of the assembly was done using laser welding. This technology allowed Adam to connect the pre-finished parts without disturbing the satin finish, and to precisely fit together the many small pieces. For Rouge Moderne Earrings, I began with an old-world earring silhouette and combined it with very contemporary elements: the spiraling arches, the trio of white, rose and yellow gold, and the overall precision. The result is earrings that are undeniably modern, while also paying homage to vintage style. The gemstones are two fiery red zircons. Like diamonds, their fire and scintillation includes all the colors of the rainbow. The long sweeping curves of this piece have to be finished perfectly and fit together perfectly to achieve this design’s symmetry. It was exciting to include cutting edge technologies in the creation of these earrings. From CAD, I created the individual arching gold forms, which were given a brushed finish and then fused with a laser welder to preserve the delicate surface. The welding is so precise, it’s virtually invisible, which gives the earrings a magical, graceful quality. See MJSA’s website for more on the 2017 MJSA Vision Awards.